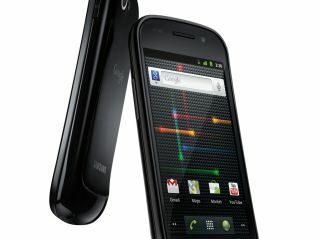 The Google Nexus S has already received its first over the air upgrade - we'll break the news to you now: it's not Android Honeycomb. The new file from Google apparently updates bugs and upgrades to the latest version of maps - although we're not sure how much it changes if you already have the new fancy Google Maps for Android version 5 already downloaded. Looking through the internal changes over on XDA Developers Forum, it seems the only changes are to the framework and Maps programs, so this isn't going to be a massive overhaul - although early indications show a slight lag in the browser appears to have been fixed. The update to Android 2.3.1 is relatively impressive given the phone has only been released for six days in the US (and a day in the UK) and shows that Google either messed up the release software or is genuinely trying to make sure the Nexus S crowd get the updates first. Sadly, it seems UK users are again behind their US counterparts in terms of receiving the update, as constant check-ins on our stock Nexus S are yielding no updates - but it's likely it won't rock your world as updates go, so if you have to hold on it probably won't ruin your Christmas. We didn't notice any browser lag issues generally during our Google Nexus S review, apart from when Flash was running on the site as well - fingers crossed that's a bug that's been squashed.